Well Melly this is our 301st post. 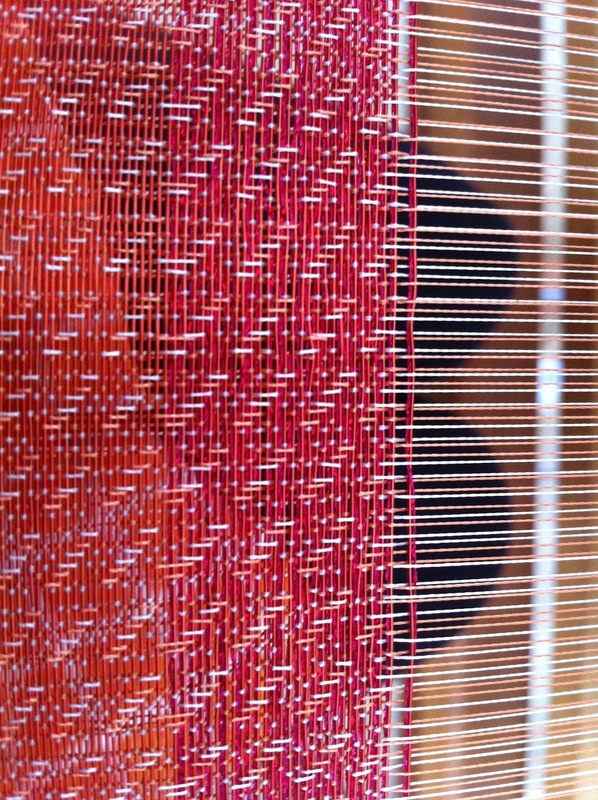 I have been sampling on my warp today and having a bit of fun even if I only had 1.5 hours in the studio. Its better than none. 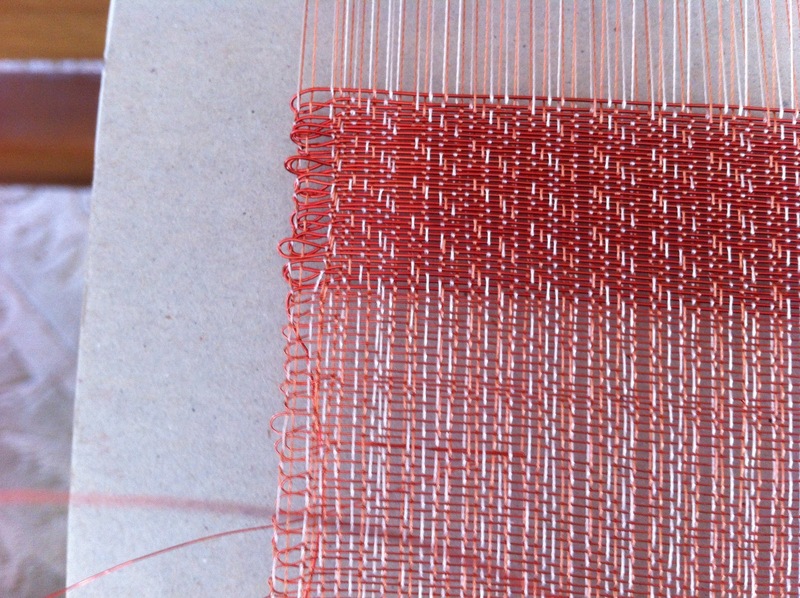 I have used copper in the weft and a hot pink mederia metallic thread. 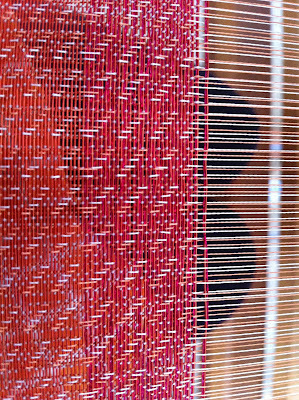 I started with a fine copper thread and when i went to wind a new bobbin discovered I had some copper that was much thicker and I think it shows the pattern a bit better. 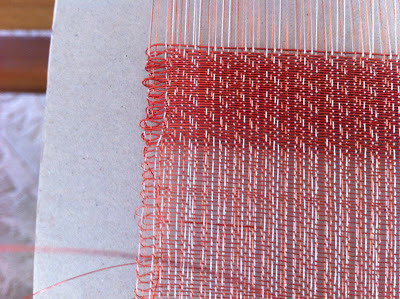 The last bit of sampling was with the metallic thread added. I am still not that happy with it but its a start. My first real lacroix sample.